Only one notable film out this week on DVD, but it’s a fantastic one! The sharp and witty Victorian detectives return with the same combination of action, thrills and crime as before. This time Holmes and Dr Watson are up against the best criminal mastermind in the world, the evil Professor James Moriarty. 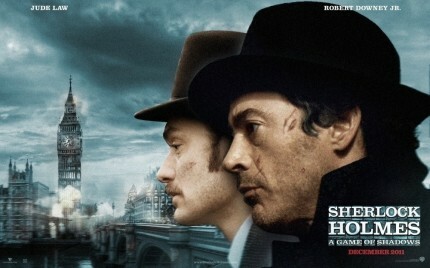 Their skills are stretched beyond London in a race to Moriarty who is creating mayhem across the world.